I chopped all the leaves and the stems and then I grated the beet root. I peeled it at first. 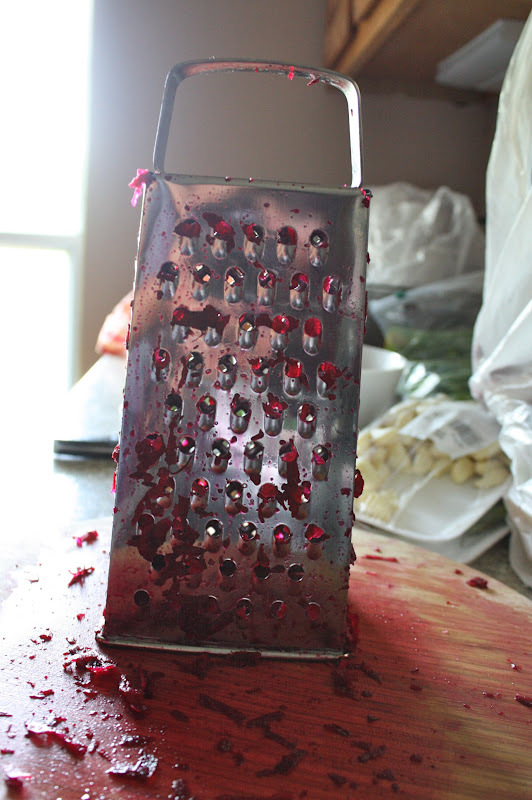 Then I cut the large beet in four pieces so it was easier to grate. Use the side shown on the image above on your microplane. Chop up the onions and make a slice halfway through the chilis. Once the oil is heated, throw in the onions and the chilis altogether into the hot oil. Let the onion saute a little til they are soft. 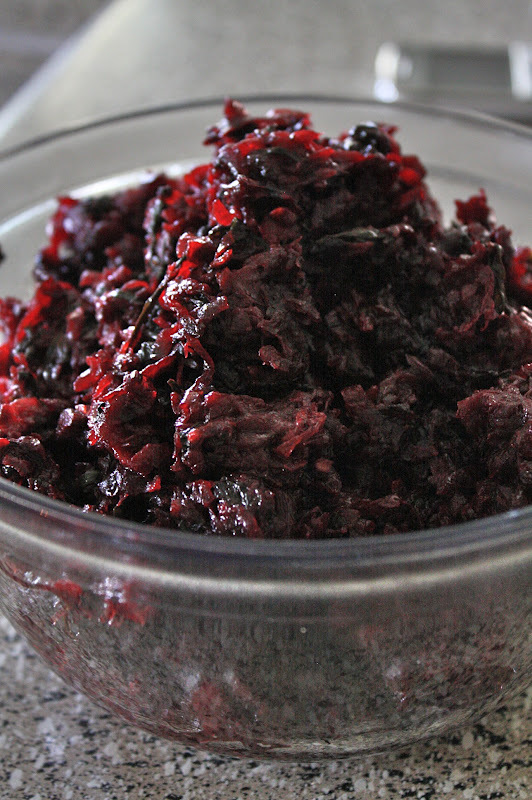 Now throw in all the chopped up beet leaves/stems and the grated beet root. Along with the vegetable, toss in the spices and the salt. Keep it covered and stir occasionally so that it doesn't stick at the bottom of the pan. It will start reducing once it starts to get cooked. 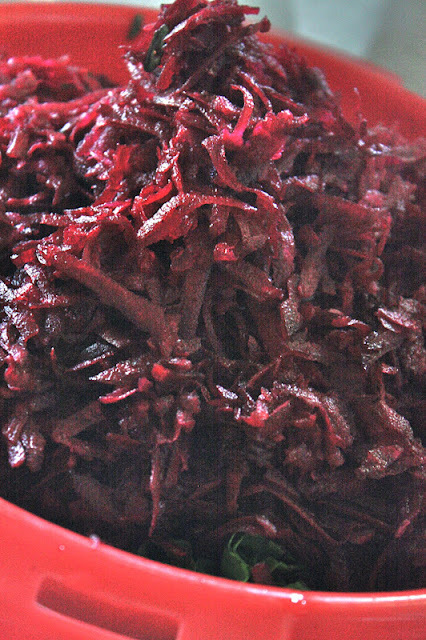 If you see that the water is not evaporating but the beets are already cooked, then just keep the pot uncovered while cooking and this will do the work. 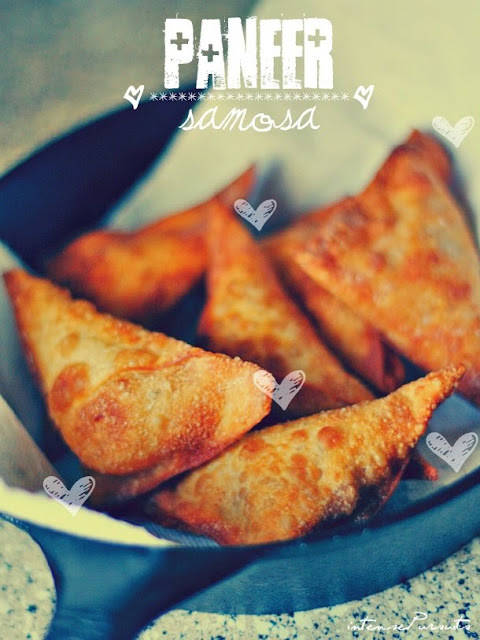 Enjoy with hot rice or bread!